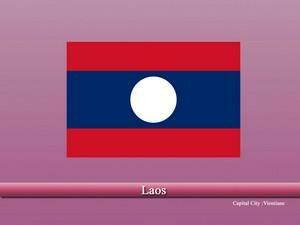 Laos, authentically the “Lao People's Democratic Republic” is a country located in Southeast Asia. The country is a “communist state” and is known for its Buddhist temples, mountains, terrain, colonial remains and much more. Laos has a long and complex history. The country was ruled by different kingdoms and empires until it eventually became a French colony. The French demanded high production from the colony but failed to achieve their goal. After World War 2 ended, struggle for independence in Laos started and the French were pushed out. Similar events happened in Vietnam and other French colonies and these types of events led to the all scale Vietnam war. During the War, thousands of pounds of bombs were dropped by the US as Laos was used the resupply the North Vietnamese forces. Thousands of innocent people were also killed. Laos is a landlocked country and is bordered by the other countries of China and Myanmar towards the Northwest, Thailand towards the West and Southwest, Vietnam towards the East, and Cambodia towards the Southwest. Most of the Laos terrain features thick forests and mountains while there also are some plains and valleys. The country has one of the most stable and fastest growing economies in the region. Agriculture, services, industries and foreign investments are the main factors behind the growth of the economy. Rice is the primary agricultural product. Tourism sector also generates large revenue and the number of tourists visiting annual have increased dramatically. Around 64.7 percent of the Laos population follow Buddhism (Theravada), while 31.5% people practice the Tai Folk religion. A small minority of Christians are also present. Lao is the official and most widely spoken language of the country followed by several other local languages. French and English are still also used today for educational and communication purposes.